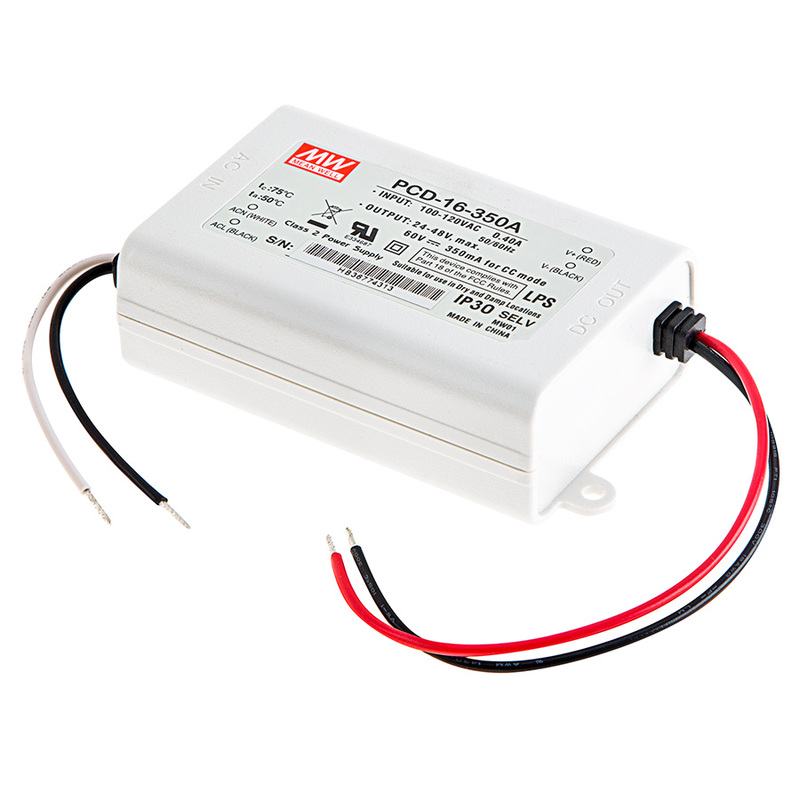 Mean Well constant current driver for powering high power LEDs. Input range of 115-277VAC - see specification table for output range. Class 2 and Class II rated. Measures 83mm(3.27 in) x 56.7mm(2.23 in) x 29.5mm(1.16 in), case features built-in mounting tabs with 3 inch input and 6 inch output power wires. Dimmable with TRIAC based dimmers.